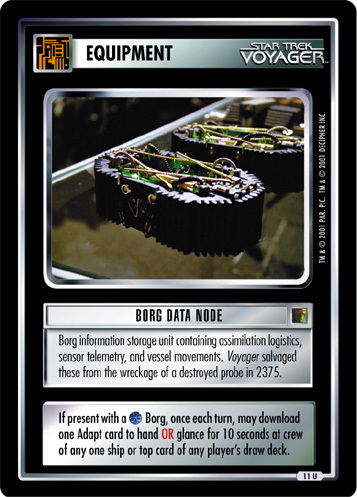 Borg information storage unit containing assimilation logistics, sensor telemetry, and vessel movements. 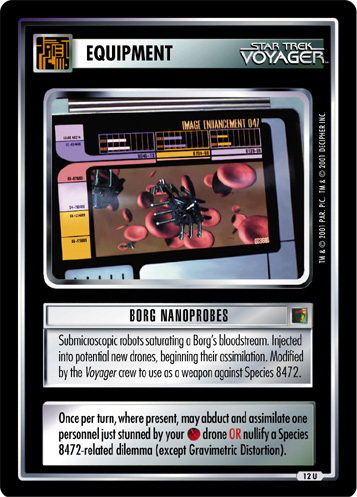 Voyager salvaged these from the wreckage of a destroyed probe in 2375. 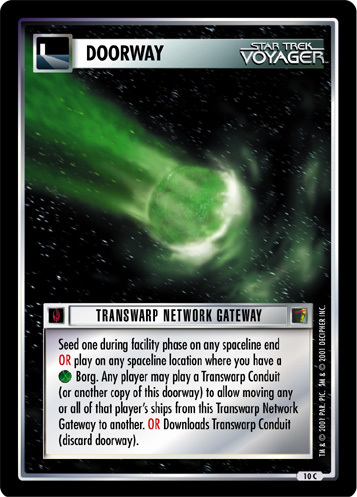 If present with a Borg, once each turn, may download one Adapt card to hand OR glance for 10 seconds at crew of any one ship or top card of any player's draw deck.